As we all know, it is important to raise questions in a learning environment. That’s how we learn and that help students learn in class. We always hear teachers telling us that there’s no such thing as a stupid question. What do you do when you have students who are scared to ask questions? So it is up to you, the teacher, to encourage them how to ask the right questions. Here are some suggestions from the Voki Team on how to encourage more students to ask questions. 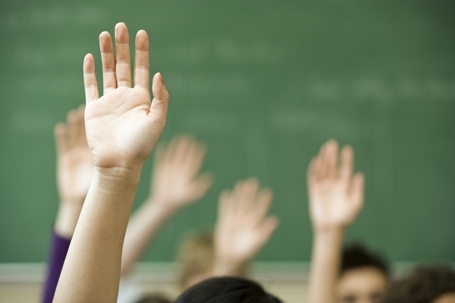 Asking questions can be a very scary thing, especially to younger students. Encourage your students to ask questions by creating a safe classroom environment where they can freely ask questions. A teacher can do so by implementing rules and guidelines. This is important because students can feel they can ask questions without being judged and are respected by other students. Praise every question that was asked in class. This will reinforce that it is alright for students to ask questions in class. For younger students, you may want to say, “That’s a great question and it really helped us out!” For older students, you should consider praising the significance of the questions. What’s a better way to get students to ask questions than playing a game or being involved in a fun activity? Create fun activities with asking questions. Have your students try out the “5 Whys” activity. This can be used in any type of settings. (It was originally used within the Toyota Motor Corporation!) Or you can try out one of these activities here, such as the activities on how to use Wh- Questions. There’s many other ways to encourage a student to ask questions in class. How do you do it? Let us know! I am trying to fill out a PO request for my school district for a voki classroom account and I cannot find your physical address or a phone number anywhere on your website. It’s required for the PO. Can you help me find this info so I can get the money to register? We can actually generate a PO for you (https://blog.voki.com/2012/06/12/voki-tip-of-the-week-6/https://blog.voki.com/2012/06/12/voki-tip-of-the-week-6/). Once you generate it, it will have the address to send it to!